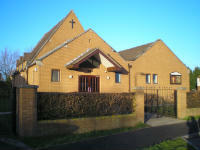 Emmaus Church is a community of about 50 people of mixed ages set in the Severn side village of Severn Beach. to reach out to transform society. The whole Church has busy and exciting times reaching out into the local community, building on existing friendships, establishing new contacts and working together as a team. We are informal and like to think we are friendly and fun to be with. Children are welcomed and provided for if accompanied by an adult. You will be most welcome to join us.